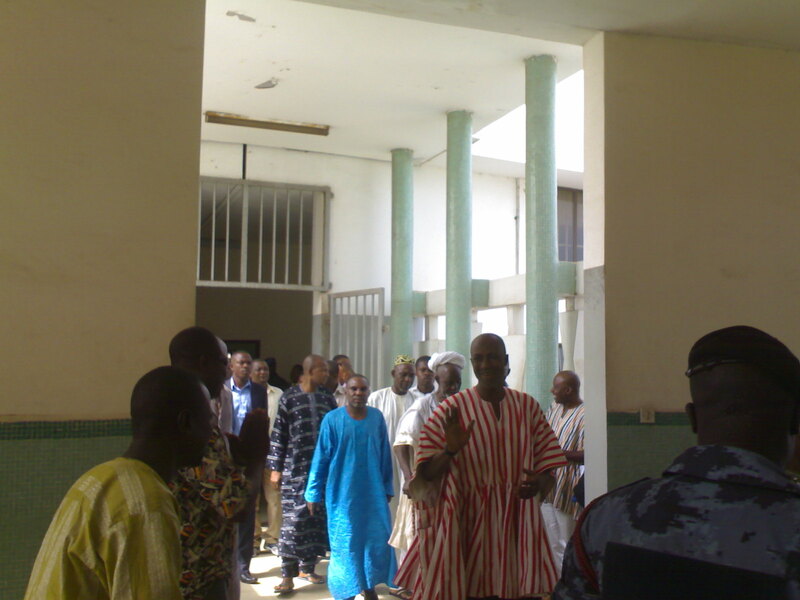 The prosecution in the case of 15 persons standing trial for the murder of Ya Na Yakubu Andani II, overlord of Dagbon yesterday made another dramatic u-turn when they withdrew a motion they had filed to have the case re-opened to enable them call more witnesses to testify. At court sitting, the prosecution led by Ms Gertrude Aikins, Director of Public Prosecution said they have backed down in calling more witnesses. After failing on three occasions to present more witnesses, the prosecution on November 5, 2010, officially said it had closed its case in the trial prompting the defense to indicate to the court that it intends to file motion of “Submission of No case”, a request which was granted by the court. The court presided over by Justice EK Ayebi of the Court of Appeal then ordered the registrar of the court to make available to the defense all the proceedings of the trial before November 12, 2010 and adjourned the case to Tuesday, November 23, 2010 for the defense to prepare the motion for “Submission of No Case”. The prosecution then promised to file supplementary affidavit to disclose more information about the witnesses they intended to call to testify, after the defense team lead by Philip Addison had complained to the court that they did not have any information to respond to the affidavit and the case was adjourned until yesterday November 29, 2010 for it to be done. Yesterday in court Ms. Aikins said the prosecution has decided to withdraw the motion altogether and filed new processes, this time around very detailed, to get the case re-opened. Mr. Addison then responded that the defense team did not have any objection to the withdrawal of the first motion but asked the court to adjourn the proceedings to enable them to file affidavit in opposition to the prosecution’s request which the court granted by striking out the first motion. The prosecution says it is seeking to re-open the case because it has in its possession a secret audio recording of Alhassan Braimah, the sixth accused person confessing to one Ben Nsor aka Atia that he (Braimah) killed the Ya Na. In the new affidavit filed on November 29, 2010 the prosecution intends to bring five more witnesses including Nsor, an ex-security officer residing in Togo who took custody of the recording; Yakubu Mahamadu aka Anafo who did the recording; Mohammed Sumaila the man who translated the content on the secret tape; Robert Ayalingo, the officer in charge of the case and Professor John Peter French a forensic consultant specializing in the analysis of digital and magnetic recordings, speech and sound. In the additional summary of evidence, the prosecution says Nsor, Anafo and Braimah were all Dagbon youth who were once trained in weapons handling in Togo in the 1990s to protect the Ya Na against Konkomba aggression. Interestingly, none of new witnesses were included on the list of prospective witnesses presented by the prosecution before the trial commenced. Daily Guide has learnt that Ben Nsor Atia was one of the 40 person arrested by the security agencies early this year in connection with the case but was left off the hook after the police had conducted identification and screening exercise. Sitting continues on Thursday December 2, 2010.